Post filed under facebook, softwareproject, visualization. Hi Bernhard, I reach your post via this twit of @Gephi I will look deeper the graph, but I really like what you have done. It encourage me! :)I’m doing a SNA course at coursera and experimentig with Gephi and it’s very very fun and interesting. Thanks! I’m using netvizz – which is probably also what you are using in the coursera class as well – but I have not yet added the pages feature to the application (some more tests to do, for the moment it breaks on very big pages like Obama’s). I will soon however. Hi Bernhard this is ace – I’m one of the community coordinators who helps runour main Facebook page so I found this very interesting 🙂 Would be great if you could drop me a line and tell me more! Hi there, love the graphs you’ve been producing. 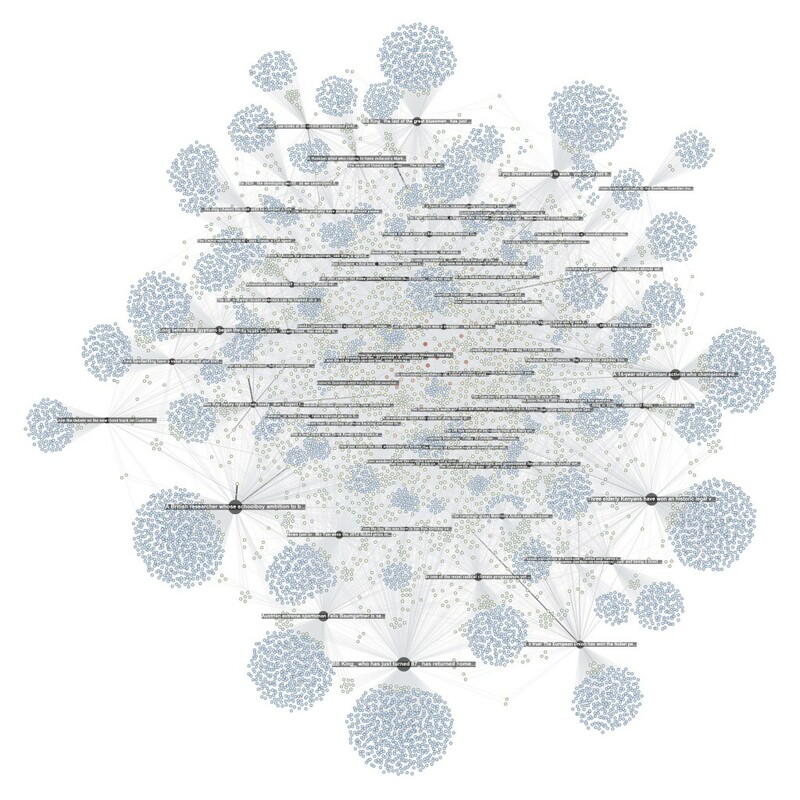 What layout did you use in Gephi for this one? Force Atlas? Thanks! It’s Force Atlas 2 – very fast and very customizable.